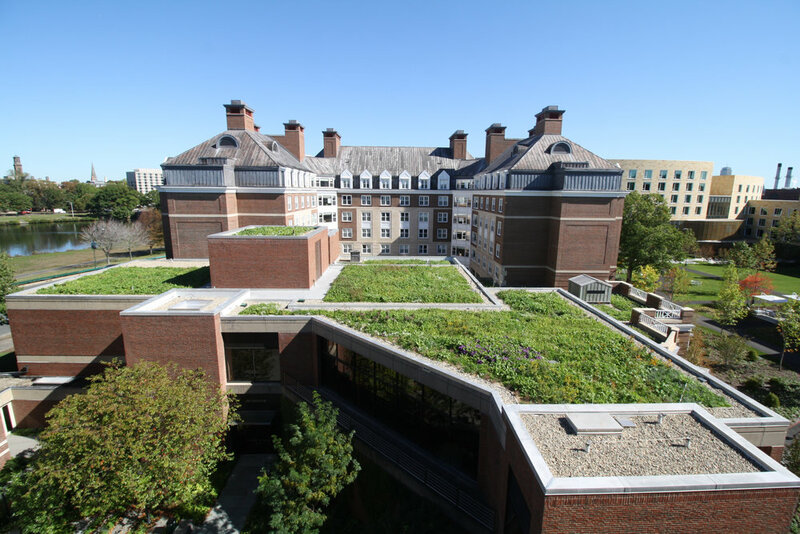 Recover worked with Omni Ecosystems to install a multi-tiered meadow roof ecosystem on Harvard Business School's McArthur/McCollum Hall. The system is the first-of-its-kind to be installed in New England. 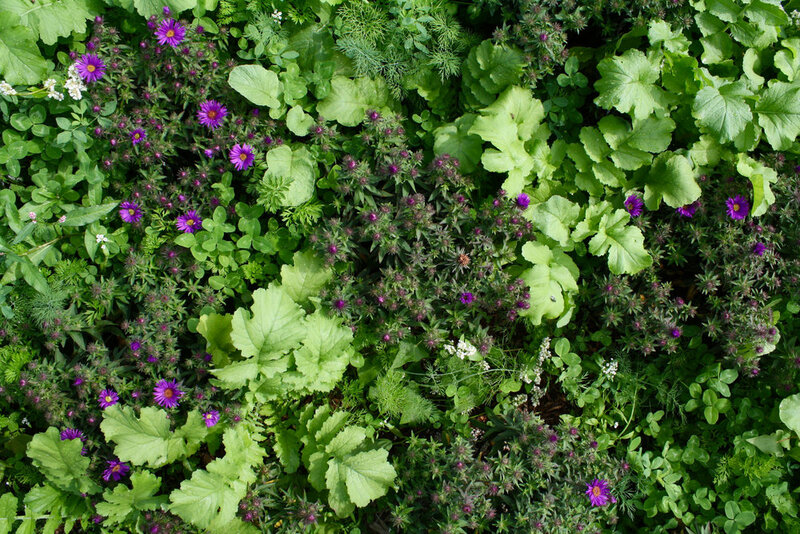 Omni’s comprehensive growing media is an innovative, ultra-lightweight soil blend that is able to grow a wider array of annuals, herbaceous perennials, and woody perennials than standard extensive green roof growing media. The roof is designed to mimic the natural cycles of a meadow and self-regenerate with each season. 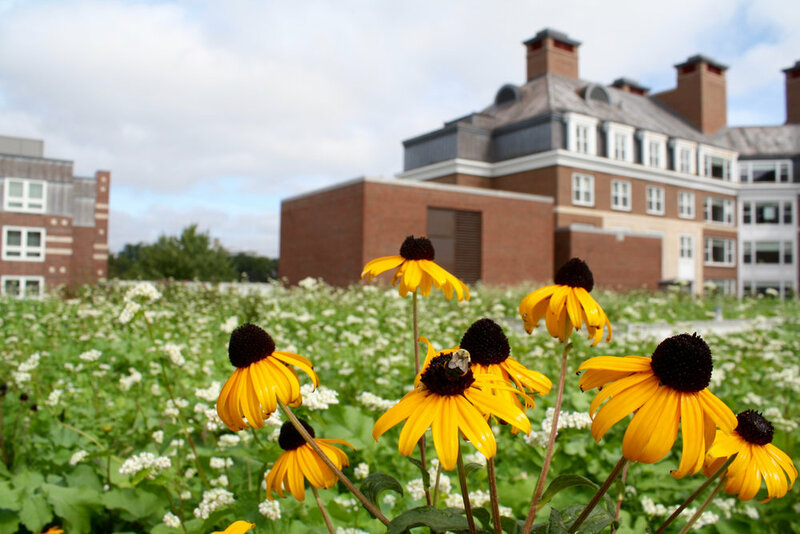 The roof was planted with a variety of native species desirable for pollinators and seeded with a mix of quick-to-germinate annuals and flowering herbaceous perennials. Many of the seed species are commonly used as cover crops to improve soil conditions, reduce soil erosion, and provide habitat for beneficial insects. 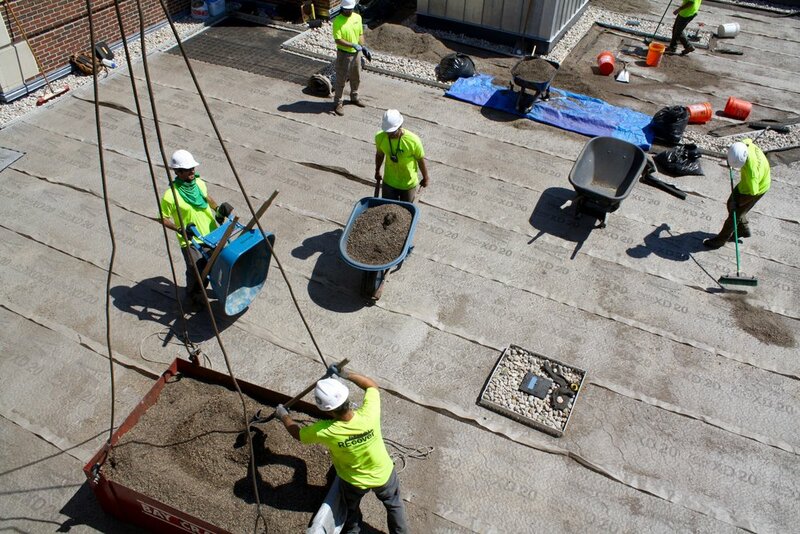 Germination began three days after seeding, and within several weeks the roof developed into a lush meadow of flowering buckwheat, calendula, aster, milkweed, clover and ripe radishes. Several honey bee hives on the roof meadow are managed and researched by The Best Bees Company.